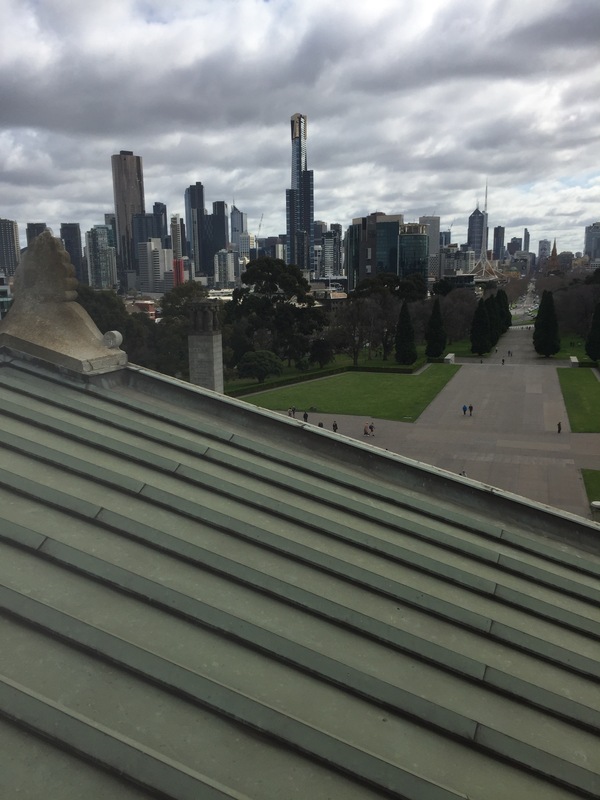 We’ve been staying south of the the city centre in St Kilda and have spent the last few days pedalling about town visiting Yasmin’s family, the Immigration Museum, the National Library of Victoria, the ‘Lanes’ and St Kilda Sea Baths. Melbourne is another wonderful city and was initially a shock to us. We’d arrived by train from Geelong – a commuter suburb – after the remoteness of the southern coastline, and had not prepared ourselves for an arrival into such a big and busy metropolitan area. Even coming from London, we found ourselves in awe of the packed streets, bars and restaurants after the delightful emptiness of the country we’d been cycling through. We caught the train to town because, as in Adelaide, we’ve learned the hard way that cycling into big cities is never a good experience. The roads get busier and more polluted, cycle lanes begin only in city centres, and the monotony of suburban housing and industrial estates is never compelling enough a reason to want to ride ‘the whole way’ in. However, once we’d arrived at Southern Cross Station in Melbourne and found the cycle route south to St Kilda – across the Yarra River and out to Port Melbourne and then down the coast to Acland St – we realised that with our bikes and map we’d very quickly grasped a sense of the place. I think only bicycle travel can do this. It forces you as a rider to plan a route, orientate yourself and be aware of your surroundings. The cyclist’s path inevitably reveals interesting cross-sections of urban landscapes, the city’s topography and geography, as they cut alternative directions along tram tracks, disused railway lines and through local parks and beach sides. It means, unlike other modes of transport, the cycle journey does not need to follow the main arterial roads of a city. The day we arrived, we quickly found ourselves pedalling beside the sea’s bay with joggers and other riders all enjoying the end of their working day by the open water. We immediately felt part of the city as the sun set and we looked to find our apartment where we’d be staying for our first night in Melbourne. We still can’t quite believe we’ve managed to pedal so far. Lovely account of first impression of Melbourne. You are playing with fire to call Geelong a commuter suburb. They will kill you. Love your blogs. At Lima airport. But pissed on my Pisco Sour! I apologise formally to all of Geelong. We loved the city and the art gallery, enjoying our stop before heading into Melbourne.